Air China offers affordable direct connection between the United Kingdom and the capital of China´s Sichuan province. Based on this Star Alliance carrier you can book cheap non-stop flights from London to Chengdu, China from £346! (Roundtrip incl. all taxes and fees, onboard meals and checked bag). The must-do thing in Chengdu is to visit Chengdu Research Base of Giant Panda Breeding. At this moment you will find good availability in upcoming winter season.. If interested in this solution with Air China look for flights departing from London Gatwick to Chengu from 23rd of October to 7th of December or 30th of December 2018 to 15th of March 2019. Max stay 3 months. Book this promotion by 8th of October. Below you can refer to our booking and few travel date samples. Your connection flight possibilities from your home city is fastest to check through Skyscanner. To book some afforeable accommodation in Chengdu, China you may use Booking.com or consider following promo codes offered by Hotels.com, Ebookers, Hotelopia or Venere. 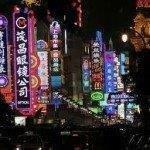 Booking sample of cheap non-stop flights from London to Chengdu, China from £346! As per our link to this deal date of your flight from the United Kingdom to Chengud would be on 30th of October. Inbound flight from China back to London Gatwick then on 13th of November 2018.